Michael Hoey’s European Tour debut ended in agony as he fell victim to the new cut rule at the Volvo China Open. The Belfast star, who earned his card through the Challenge Tour rankings, finished a single shot outside the vital top 65. The top 70 and ties made the weekend until the rules were changed at the end of last season. And that meant an early exit for the former Walker Cup star and British Amateur champion after a one over par 73 left him tied for 68th place. Just 67 players made it on level par or better with Peter Lawrie heading the Irish challenge on three under after an even par 72. Kilkenny’s Gary Murphy also shot 72 to make it through with a shot to spare on one under. But there was no joy for the rest of the Irish brigade with David Higgins firing a 74 for three over and Damien McGrane crashing to a 78 to miss by five. Lawrie is nine shots behind leader Chawalit Plaphol of Thailand, who finished his second round on 12 under and three strokes clear of England's Oliver Wilson and Frenchman Francois Delamontagne. Wilson challenged for the Irish Open in his rookie season last May and is hoping for better this weekend after failing in the final round at Carton House. Plaphol, 31, added a second round 67 to his opening course record 65 as Delamontagne and Wilson carded 70 and 67 respectively. Pre-tournament Paul Casey, the highest ranked player in the field at 61st in the world, hit a 69 to get to four under. But he dismissed his chances of catching the leader over the weekend. He said: “If Plaphol continues to shoot those kind of scores then I don't think I can catch him. 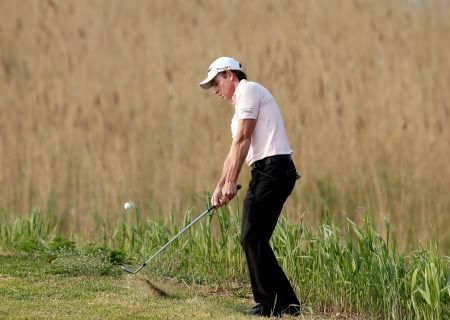 Peter Lawrie recovered from a horror start to challenge for the Volvo China Open. Brett Rumford is going to back-to-back wins on the European Tour. 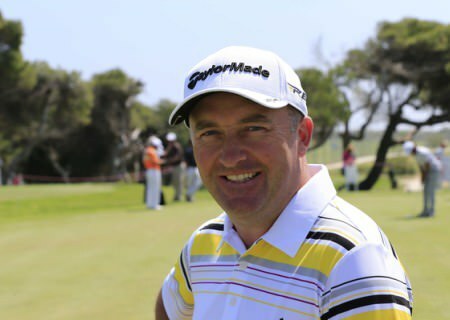 Picture courtesy Gety Images Damien McGrane’s hopes of repeating his 2008 Volvo China Open victory suffered a definitive blow when he carded a one over 73 in the third round at Binhai Lake.